For the first time, college students now have the option to fill out the Free Application for Federal Financial Aid (or FAFSA) form on their smartphone or tablet. The federal Education Department says filling out the document, a crucial first step in receiving federal student aid, may be a little easier for some students who may not have access to an internet-connected computer. About 95 percent of U.S. consumers have a mobile device of some sort, according to the Federal Student Aid office. In launching the new digital options, the Education Department hopes to expand student access to free aid money. 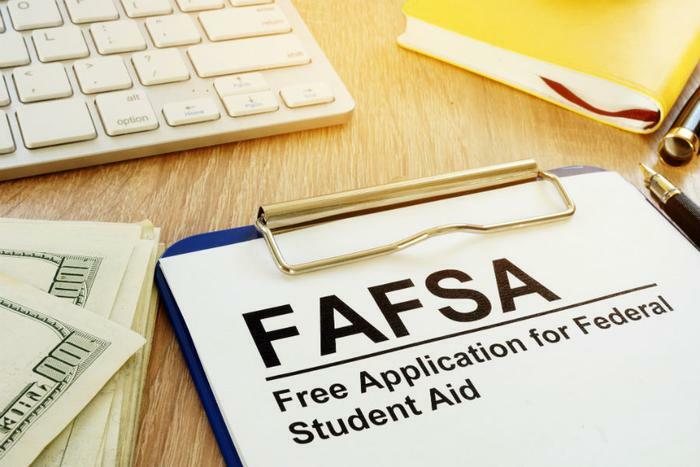 In 2017, over $2.3 billion in free federal grant money was left on the table as a result of students not renewing their FAFSA form throughout college or in graduate school, according to an analysis by Nerdwallet. "Students should be able to complete their FAFSA easily on their phones and in one sitting. They should receive expert, tailored advice about their options. It's called 'student aid,' after all. And throughout the life of their loans, students should be able to communicate directly — by texting or chatting or whatever the most current method is — with professionals whose primary duty is to them," Secretary Betsy DeVos told financial aid professionals in a speech last November, when the app was announced. "We will make the financial aid process modern, streamlined, more accessible and simply easier for students — and you,” Devos added. The myStudentAid app can be downloaded from Apple’s App Store or from Google Play for Android devices. Additionally, the FAFSA website has been updated with a new “mobile-friendly” design. The FAFSA for the 2019-2020 school year officially became available on October 1.